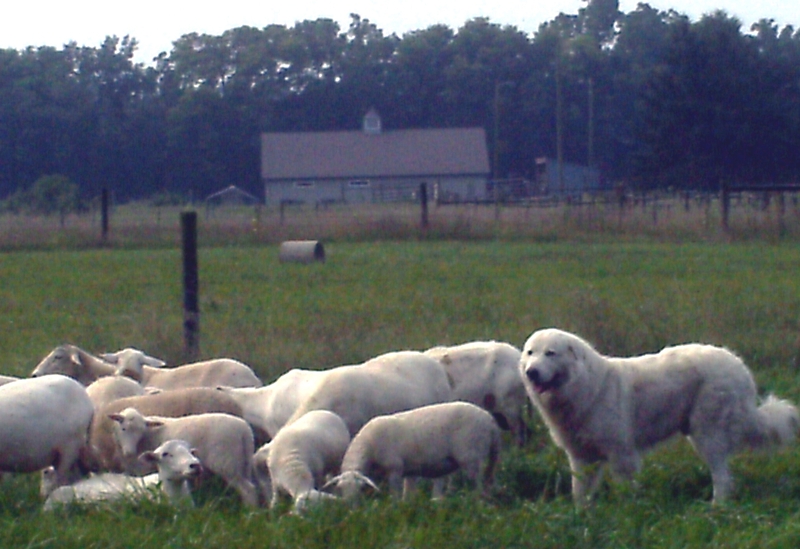 Leonardo has experience in guarding cattle, sheep, chickens, pigs, ducks and cats. He is a beautiful site to behold weighing in at 127 pounds. He is fearless and ferocious if you are a stranger on the wrong side of the fence. If you are a friend or family member within his “flock” he is the biggest, sweetest teddy bear you’ll ever meet. Leonardo has been certified by the OFA (Orthopedic Foundation of America) as having hips in “Good” condition. 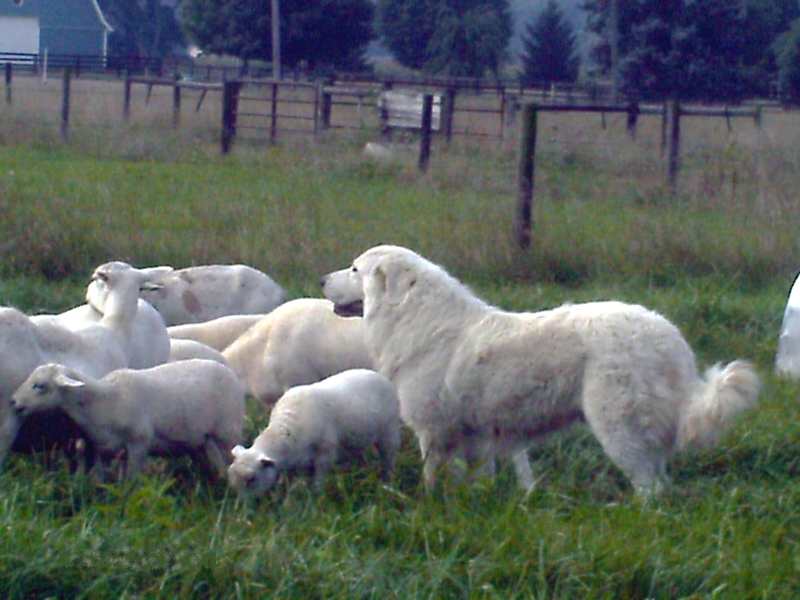 His parents are double registered with both the Maremma Sheepdog Club of America and the Italian Kennel Club. Leo is registered with the MSCA. Leonardo has been with us since he turned two. 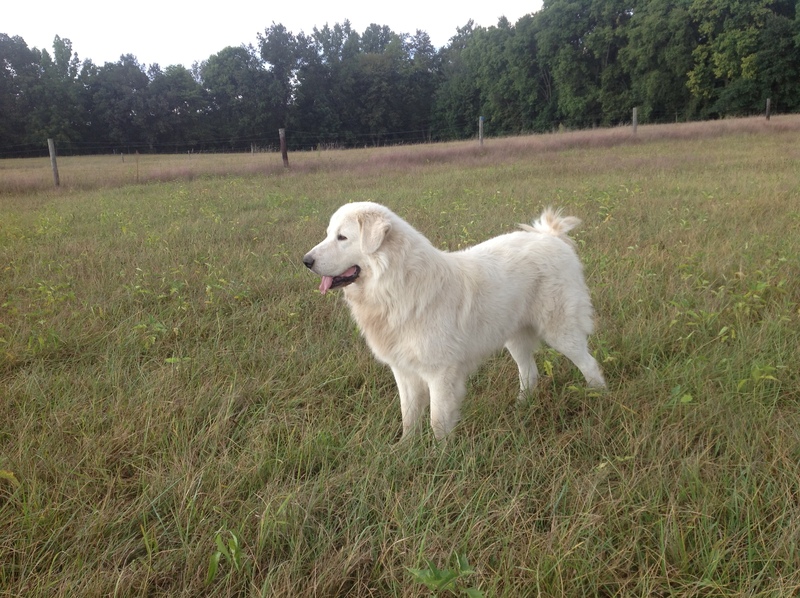 He is the grandson of a champion Maremma in Italy. Check out his pedigree for more details. You can also view the write-up about Leo’s grandfather under Leo’s Italian Champion Grandfather. Look for Leo’s Uncle Bruno and Leo’s Grandmother Loretta and finally Leo’s Grandfather, Pastrano. Leo has an amazingly calm personality. 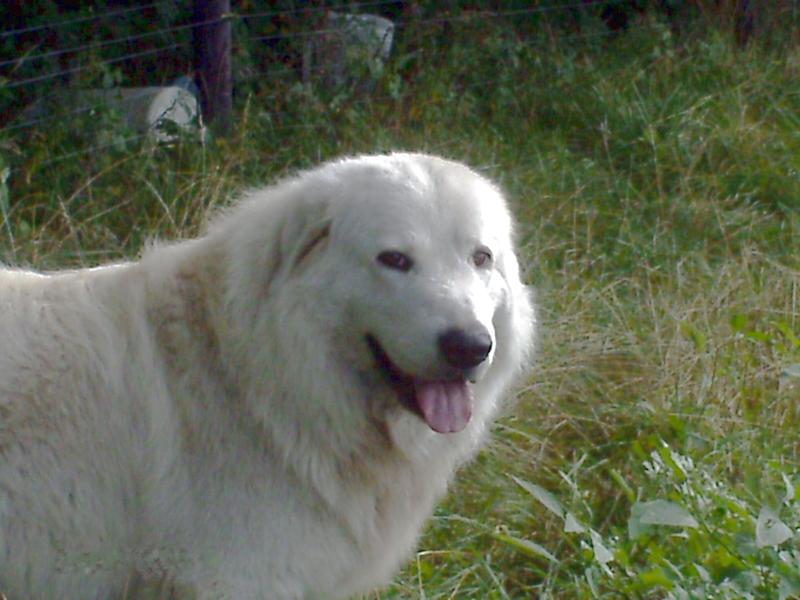 He is very sweet and affectionate with his people family and is extremely devoted to his sheep family. The sheep simply view him as another very large protective flock member.